Om Namo Bhagavate Sivanandaya ! Om Namo Bhagavate Chidanandaya ! 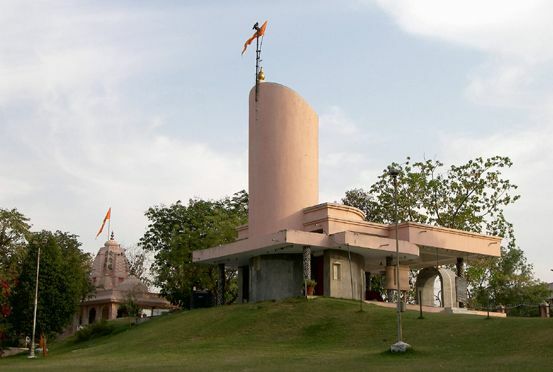 Sivananda Ashram, Ahmedabad is an organization established to disseminate message and wisdom teachings of Holy Master Sri Swami Sivanandaji Maharaj. 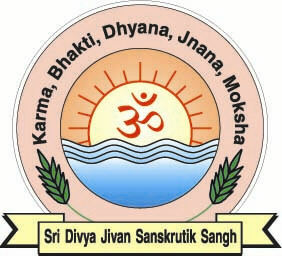 It is managed by Sri Divya Jivan Sanskrutik Sangh. 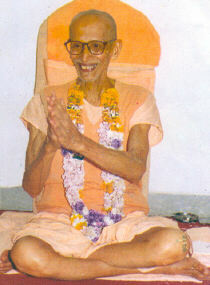 Brahmlin Sri Swami Pavitranandaji Maharaj, before sanyasa known as Sri Laxmikant Dave, had aspired to bring up an Ashram in Ahmedabad. 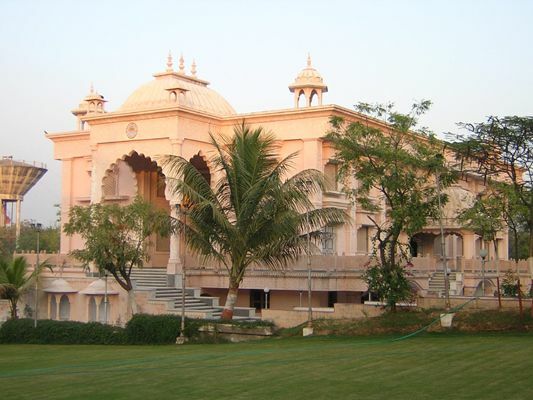 He incessantly worked to acquire four acres of land, on which the ashram is established today, from government of Gujarat. 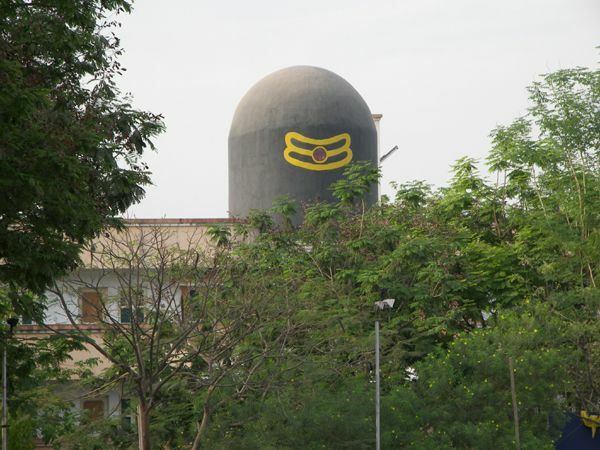 Today the Ashram is well known for its multifaceted educational, socio-religious and spiritual activities. The Divine Life Society was founded by H. H. Sri Swami Sivanandaji Maharaj in the year 1936. 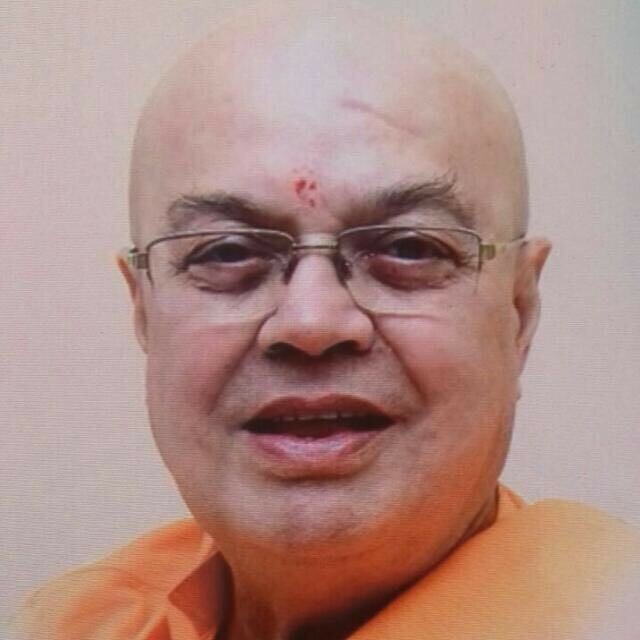 H. H. Sri Swami Adhyatmanandaji Maharaj is the beloved disciple of H.H. 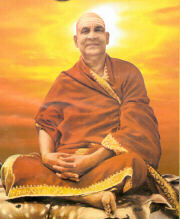 Sri Swami Chidanandaji Maharaj. Swamiji embraced the life of mendicant on January 1, 1971, and was embraced in the holy order of sannyasa in the year 1974. Since then, as per his worshipful Gurudev’s instructions, he has been continuously spreading the message of sages of the yore and sharing the knowledge of ancient cultural and scientific heritage of ancient India through Yoga, Pranayam and Meditation. He is the President of Sivananda Ashram, Ahmedabad as well as of Gujarat Divya Jivan Sangh, Ahmedabad. So far he has conducted more than 800 Yogasana and Meditation camps around the globe. Swamiji has designed Yoga Teachers' Training Course (YTTC), a comprehensive 20 days residential program for training of Yoga teachers which is conducted twice during the year since two decades. He has conducted more than 41 YTTC which is recognized by Gujarat University. These programs are attended by yoga aspirants from across the globe and he has trained more than 1000 yoga teachers. These teachers render both preventive and curative aspects of yoga teaching for well-being of body and mind across humanity around the world and are instrumental in spreading ancient Indian Culture and rich heritage. Since more than last six decades, he is a regular contributor and talked on All India Radio on various subjects. Practically for five decades, he has greatly contributed yoga teachings on T.V channels. He speaks with deep understanding, clear thinking and philosophically. In His diamond jubilee celebration having love and compassion for poor, sick and downtrodden, he organized 230 blood donation camps with 69,542 blood donors who collectively contributed 20,862 liters of blood. Over and above this, he is a centurion Blood Donor. His great deep love for the ecology made him plant more than 10 million saplings all around the globe. His services to the nation through his yoga camps in the universities, colliery mines, Indian armed forces, Indian administration services not only in the planes but also at Leh (Laddakh), Kargil, Punch etc., has given him a great satisfaction of his Karma Yajna in uplifting the individual beings through the dissemination of science and yoga of synthesis. His life is a struggle for perfection. He is always eager to serve the mankind known and unknown. Swamiji's discourses on the subjects of Gita, Upanishads, Srimat Bhagavat etc. in most simple language has touched and inspired millions during the last thirty-five years of his monastic life. His book “Gita Navneetam” in Gujarati literature is awarded “Maharshi Arvind Gold Medal” by Gujarati Sahitya Parishad in the year 2003. His sincere contribution to modern youth to free them from the vices of the drugs addictions in the east and the west has brought Him into the great limelight. The saint with sympathy, kind heart, and holy touch has shown these youngsters a dawn to their doomed life. He touches the hearts of all young and elderly people by His virtues of sincerity, hard-working high thinking and distinctive humanity.